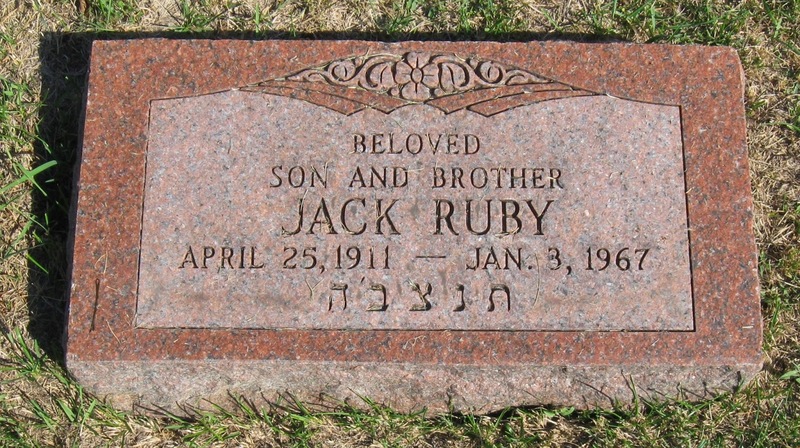 Jack Ruby, born Jacob Rubenstein in Chicago in 1911, had been a runner for Al Capone in the late 1920s. Ruby’s mob-related activities continued when he moved down to Dallas in 1947. The Chicago mob had attempted to bribe the Dallas Sheriff and take over gambling, prostitution and other vices in Dallas. Ruby was to run these criminal activities and serve as liaison to the Chicago underworld. In 1952, Ruby and two other associates purchased the Bob Wills Ranch House and renamed it the Vegas Club. 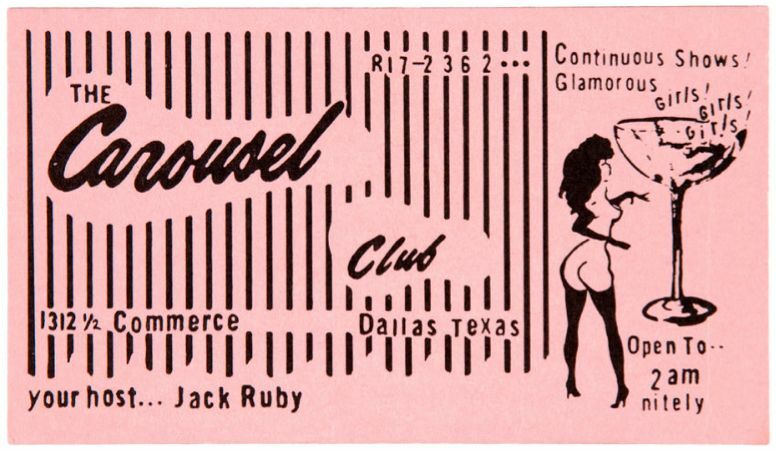 In 1959, Ruby and another associate purchased a private club in the heart of downtown Dallas and a year later it was renamed the Carousel Club and began to feature striptease shows. During this period, Ruby became an informant for the FBI, a fact kept well hidden from the American people for ten years. The Warren Commission denied Ruby’s strong organized crime ties despite overwhelming evidence. A later congressional investigation confirmed them, however. 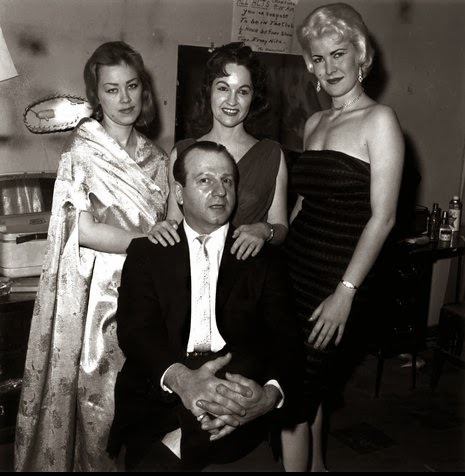 Jack Ruby, an FBI informant since 1959 and a mob hitman since 1939, met with Frank Sturgis and Marita Lorenz in Dallas on Nov 21, 1963 after the two delivered weapons in a road trip from Miami, paid for personally in cash by E. Howard Hunt (later convicted in the Watergate break-in and other Nixon dirty tricks) in a Dallas motel. Jack Ruby’s first known involvement with the CIA came in the late 1950s, when he was smuggling guns from Florida and Texas to a young Cuban revolutionary, Fidel Castro, and his band of rebels. Ruby, a Chicago mob functionary transplanted to Dallas, ran guns to Fidel so that the Mafia could hedge its bets on the next Cuban government by supporting both the dictator Batista and the insurrectionist Castro. In 1957, Ruby would commute between Dallas and the Houston suburb of Kemah on Galveston Bay, where, according to his poker-playing friend, car dealer James E. Beaird, Ruby stored guns and ammunition in a two-storey house near the waterfront. Beaird saw Ruby and his associates load “many boxes of new guns, including automatic rifles and handguns” on pickup trucks, transporting them to “what looked like a 50-foot surplus military boat”. With Ruby in command, the boat would then carry the guns across the Gulf of Mexico to Castro’s rebel army in Cuba. After Castro overthrew Batista in January 1959, Ruby began to provide weapons, now with CIA support, to anti-Castro Cubans. Ruby was working with another CIA-connected gunrunner, Thomas Eli Davis III. It was an association that would later haunt him. When Ruby was preparing for trial for killing Oswald, he feared that the prosecution might bring up Davis’ name. For robbing a bank in June 1958, Thomas Eli Davis III had received a sentence of five years of probation, during which time he went to work for the CIA, helping train anti-Castro units in Florida and at another site in South America. When JFK was assassinated, Davis was in jail in Algiers, charged with running guns to the secret army terrorist movement then attempting to assassinate French Premier Charles de Gaulle. 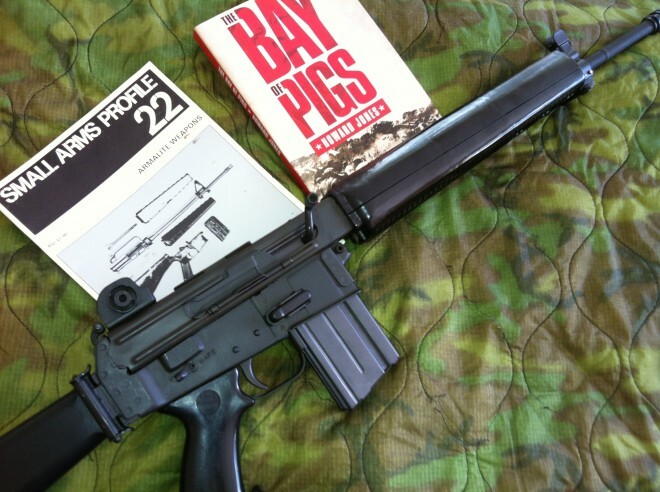 Davis was released from jail through the intervention of the CIA’s foreign agent code-named “QJ/WIN” who was identified by the top-secret CIA Inspector General’s Report as the “principle asset” in the Agency’s assassination program known as ZR/RIFLE. 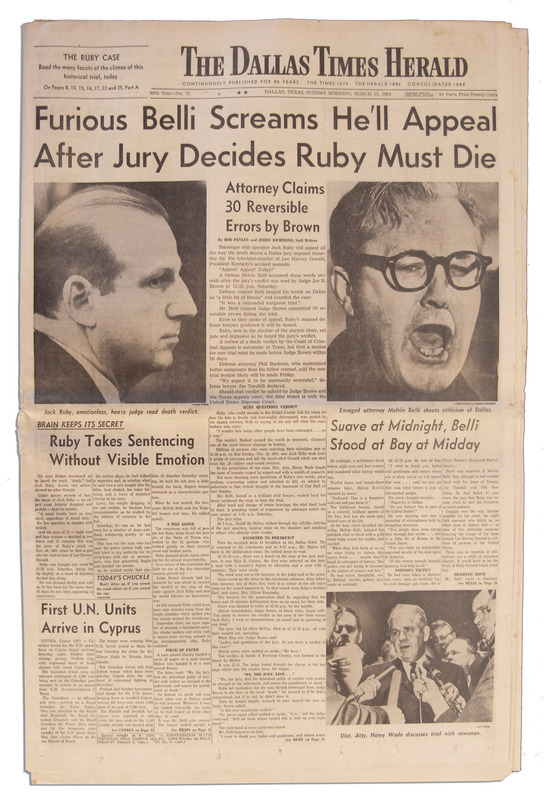 Ruby warned his attorney about this connection, and feared that, if it were to be revealed by either an investigative reporter or a witness, it would blow open the CIA role in JFK’s assassination plot. In fact, the CIA connection may have been the lead that nationally-syndicated columnist Dorothy Kilgallen told friends she was following when she attended Ruby’s trial, gained a private meeting with Ruby behind closed doors, and then, while being hounded for months by the FBI, died mysteriously in her Manhattan home. 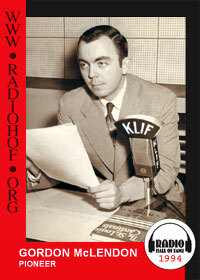 Ruby also had another thinly-veiled connection, through his close friend and owner of Dallas radio station KLIF, Gordon McLendon. In 1978, the House Select Committee on Assassinations discovered that McLendon was then working closely with JFK assassination suspect David Atlee Phillips, the retired CIA Western Hemisphere Chief, on propaganda to counteract the post-Watergate negative image of the CIA. McLendon had been a WWII Naval intelligence officer at Pearl Harbor, and was a leader in the Association of Former Intelligence Officers, whose mission was to rehabilitate the public image of the CIA. On November 20, two days prior to Kennedy’s assassination in Dallas, Ruby employee Rose Cheramie was found bruised and disoriented, lying beside a road near Eunice LA. The state trooper who found her reported that, while driving her to the hospital, she described being abandoned by two men whom she perceived to be of Latin or Italian extraction, who said they were on their way from Miami to Dallas to kill the President. The trooper described her to be lucid and her account quite believable. Several hospital employees confirmed that Cheramie had stated that the President was going to be murdered. Though much of the rest of Cheramie’s story about a major drug deal checked out, because she was a heroin addict undergoing withdrawal, her advance notice of the assassination was not taken seriously. When the Louisiana State Police and US Customs notified the Dallas Police and FBI after the assassination that they still had custody of Cheramie, neither investigative body was interested. Oswald had already been arrested and no contradictory witness testimony was wanted. Cheramie also shared another secret when she and Officer Fruge flew to Houston. In the airport, Rose read a newspaper headline about how the Dallas police couldn’t find a connection between Ruby and Oswald. Cheramie laughed and told Officer Fruge that she worked as a stripper for Ruby at the Carousel Club, that Ruby’s nickname was “Pinkie”, and that he and Oswald “had been shacking up for years – they were bed-partners”. The night before the Dallas motorcade, most of the President’s Secret Service detachment is drinking until the wee hours of the morning at an after-hours dive called the Cellar. The owner of The Cellar, Pat Kirkwood, is a close acquaintance of Jack Ruby. Kirkwood is a soldier of fortune, with his own airplane, and flies to Mexico a few hours after the assassination. Kirkwood’s father is a partner in a Fort Worth gambling house with another Ruby associate, Lewis McWillie. According to FBI documents, McWillie was employed by Cuban Mafia boss Santos Trafficante, who was involved in Castro assassination plots. At 10:50 AM on November 22, twenty-three year old Julia Ann Mercer, driving west on Elm Street, enters Dealey Plaza. As she passes the Texas School Book Depository, heading towards the triple underpass, an illegally parked pickup truck is blocking traffic in the right lane with its right wheels on the sidewalk. While Mercer is behind the truck waiting to pass, she observes a white male wearing a plaid shirt stepping out of the passenger side and walking around to the truck’s side-mounted tool boxes, where he removes what appears to be a rifle wrapped in paper and proceeds to walk up the grassy knoll toward the picket fence. Finally, upon being able to pass the truck, she locks eyes with the driver. Later that day, Mercer gives an affidavit at the Dallas County Sheriff’s office where she was interrogated for several hours by uniformed officers and plainclothed personnel whom she assumed to be federal agents. Early the next morning, FBI agents came to her apartment, requesting that she accompany them back to the Sheriff’s office, where she is shown approximately a dozen photographs. She selects two that matched the men she had seen at the truck, but was given no information about their identities. The next day, after viewing television coverage of the Oswald shooting, she immediately identified Ruby as the driver and Oswald as the man with the rifle – the same men she had identified from the pictures. But the signed depositions that were turned over to the Warren Commission, changed her testimony and forged her signature, she later claimed to New Orleans District Attorney Jim Garrison when he confronted her with them. Since Ruby had played a visible and central role in the JFK assassination, he had no choice but to accept the role of assassin to Oswald when the Dallas Police failed to find the opportunity to kill him at the Texas Theater. To be arrested for killing a president-killer was a far more acceptable fate than being implicated in the murder of the President. Ruby was everywhere on the weekend of the assassination. He showed an uncanny ability to not only keep pace with the post-assassination drama, but to anticipate its unfolding events. At noon on November 22, Jack Ruby was seen at the Dallas Morning News building, four blocks south of Dealey Plaza. He used this sighting as evidence of his whereabouts at the time of the shooting, but reporter Hugh Aynesworth told the FBI that “Ruby was seen there…but was missed for a period of abut twenty to twenty-five minutes”. Shortly after Ruby was missed, people began arriving with news of the assassination. Richard Carr, still on the seventh floor of the new courthouse building, watches as two men run from behind the Depository, enter a waiting Rambler station wagon and speed off north on Houston Street. Meanwhile, teacher Jean Hill, who had seen the president’s head explode just a few feet in front of her, notices a man running from the area of the wooden fence (in her Warren Commission testimony, she would state that the man looked like Jack Ruby). Sergeant Tom Tilson, an off-duty Dallas policeman, and his daughter are in his car just west of the triple underpass a few minutes after the shooting. They watch as a man in dark clothing comes down the railroad embankment to a black automobile, throws something in the back seat, hurries around to the front, gets in the car and speeds off westward. Thinking this suspicious, they pursue the vehicle but lose it in traffic. 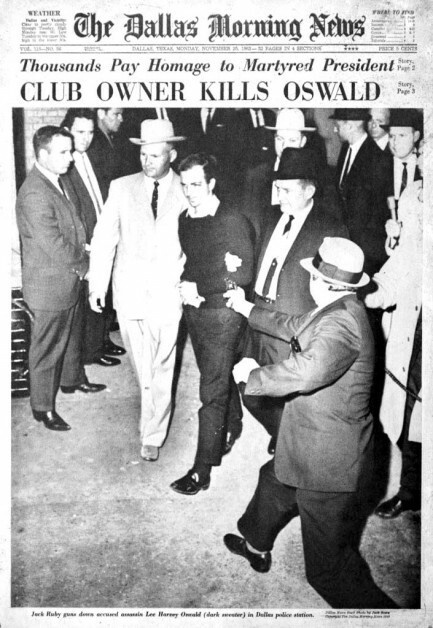 Tilson later says the man looked and dressed like Jack Ruby. At 1:30 PM, after the president had been declared dead and was about to be illegally removed from Parkland Hospital before an autopsy could be performed as required by Texas law (killing a president was not then a federal offense), Veteran White House correspondent Seth Kantor (who was a passenger in the motorcade), radioman Roy Stamps and housewife Wilma Tice all see Jack Ruby in the hospital. Both Kantor and Stamps have known Ruby for many years. Ruby had, in fact, called Kantor by name and shook his hand on the hospital stairs. In testimony before the Warren Commission, Ruby denied being there and the Commission chose to believe him over Kantor’s testimony and the news article he had written about the encounter two days later. At 1:45 PM, hospital engineer Darrel Thomlinson discovers an intact bullet on a stretcher and turns it over to hospital security director O. P. Wright, who then attempts to turn over custody to an FBI agent, who refuses to accept it. Wright gives it, instead, to Secret Service agent Richard Johnson. This bullet, defying all logic and all rules of evidence, was to become the “magic bullet” that proved the lone gunman theory, and it “magically” appeared just after Ruby was seen in the hospital. At 1:50, Oswald is arrested after a struggle in the theater. George Applin, a crane operator attending the movie, gets up from his seat when the house lights come on and a police officer with a shotgun enters. He retreats to the back of the theater and, when Oswald pulls out his gun, taps a man on the shoulder and suggests he move. But “he just turned around and looked at me and then turned around and started watching them”. Two days later, after seeing Jack Ruby shoot Oswald on TV, Applin recognizes him as the nonplussed man in the back of the theater. But Applin was too fearful to mention this until 1979, even though he testified at the Warren Commission. At 6:00 PM, WFAA radio and television reporter Victor Robertson Jr. is in a hall outside the door to Captain Fritz’s third floor office where Oswald is being held, when he sees Jack Ruby open the door and attempt to enter, but stopped by one of the two officers guarding the door, who says “You can’t go in there Jack”. 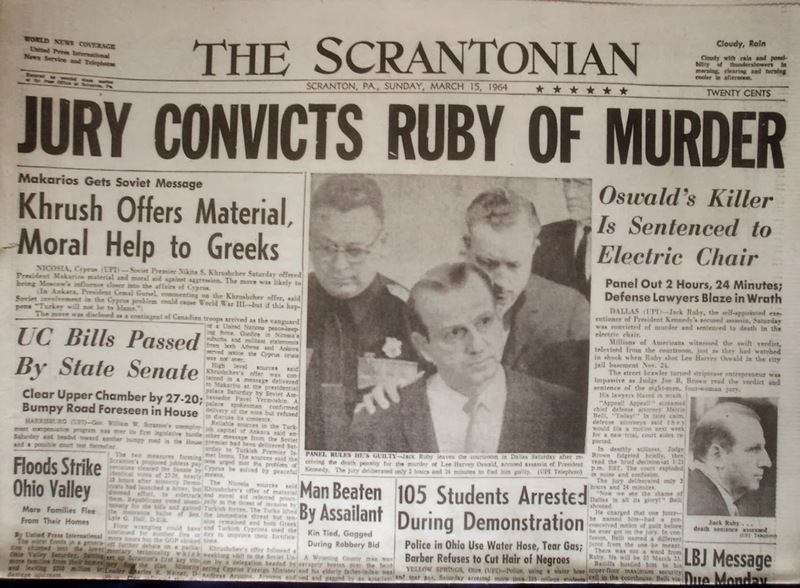 At 11:30 PM, Ruby re-enters police headquarters to attend the midnight press conference at which District Attorney Henry Wade presented the prisoner Oswald to the media and the world. IPI photographer Pete Fisher noticed Ruby standing near the room’s entrance so that Oswald passed within three feet of him. 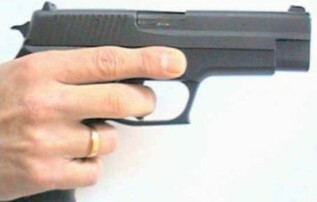 As Ruby would admit to the FBI a month later, he “was carrying a loaded snub-nosed revolver in his right-hand pocket”. Oswald is asked by a reporter “Did you kill the President?” Oswald replied, “I have not been charged with that. In fact, nobody has said this to me yet. The first thing I heard about it was when the newspaper reporters in the hall asked me that question.” Oswald had also yelled out earlier to reporters “I’m just a patsy”. Lee Harvey Oswald who, according to New Orleans FBI employee William Walter and other witnesses, was acting as an FBI informant, and had a private hour and a half meeting in his New Orleans jail cell on August 9, 1963 with Special Agent John Quigley, may have been trying to abort the assassination of JFK into which he had been drawn by his CIA handlers. He gave a talk at a Jesuit seminary warning of a potential coup against Kennedy, and some informant identified only as “Lee” tipped the FBI about an assassination plot in Chicago where JFK was schedule to go on November 2. 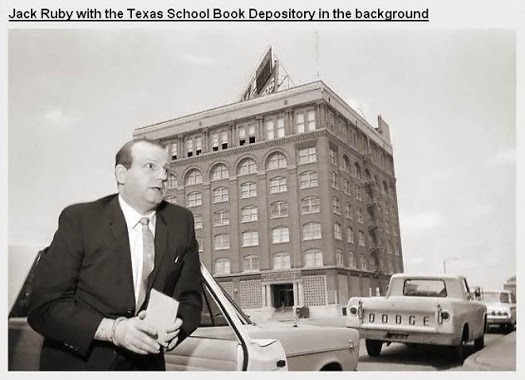 That Oswald was seen calmly eating lunch in the Book Depository at 12:15 by Carolyn Arnold, might be explained by Oswald’s assumption that, having exposed the Chicago assassins, the FBI was about to stop the Dallas plot as well. Little could he have known that, by this time, the FBI had become part of the plot. Realizing that he has been set up to take the fall for the assassination of the President he much admired, Oswald asked for representation by New York lawyer John Abt or, as he proved to be unavailable, someone from the ACLU. 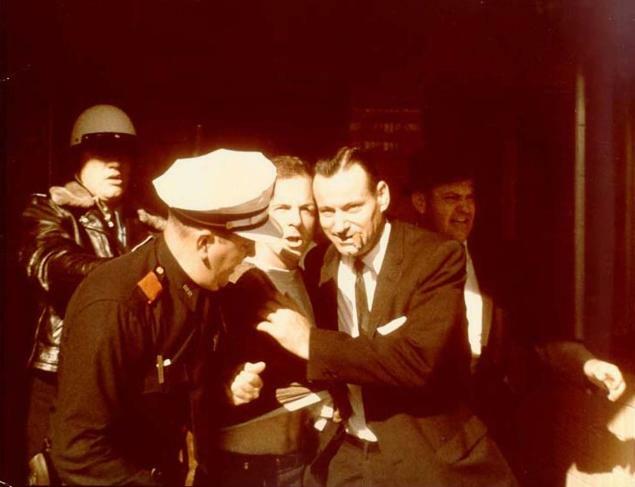 When the ACLU sent a representative to the jail Friday evening, he was told that Oswald did not want an attorney. Feeling increasingly desperate, Oswald attempted to make a call at 10:45 PM Friday to a John Hurt in Raleigh, North Carolina. The call was being monitored by the police but the switchboard operator, for some reason, failed to put the call through. John David Hurt had served as a US Army Counterintelligence Special Agent. Victor Marchetti, formerly the executive assistant to the CIA Deputy Director, believed later that he knew what Oswald was attempting to do. The Office of Naval Intelligence had an operations center in North Carolina for agents agents sent as fake expatriates to the Soviet Union, as Oswald had been. He was likely trying to reach his “cut out” – an uninvolved intermediary – to pass a message to his CIA case officer. Oswald was probably reaching out for help, but unaware that the CIA had kept a 201 file on him for the past three years, which is for internal investigation of suspect agents. His “going over the dam” in reaching out for help once in custody for an “executive action” may have sealed his fate. At 9:30 AM on November 24, Minister Ray Rushing arrives at City Hall and takes the elevator to the third floor. While on the elevator, he meets and talks with Jack Ruby. The minister is one of four witnesses who testified that they had seen Ruby in or near the police building between 8:00 and 11:00 AM. At 11:21 AM, an armed Jack Ruby is again given access to the prisoner Lee Harvey Oswald, this time as Oswald is brought from the basement to the garage of Dallas Police headquarters while being transferred to the Dallas County Jail. Ruby enters through an unguarded door, goes down one flight of stairs to the basement, crosses the parking area and joins the group of policemen and reporters awaiting Oswald’s transfer. As a handcuffed Oswald was being led to a waiting car, Ruby suddenly lunged forward and fired a single bullet with his .38 Colt Cobra held tightly in an “assassin’s grip” in his right hand, into the prisoner’s abdomen, and Oswald crumbles to the floor, crying out in pain. Millions saw the shooting on live television, and police wrestled Ruby to the floor as he shouted, “You all know me. I’m Jack Ruby”. Officers tackled, disarmed and arrested Ruby, taking him to a fifth-floor cell, where they noticed him acting “very hyper” and “sweating profusely”. Ruby requested and was given a cigarette. When word came up that Oswald was dead, and Detective Don Archer says “It looks like it’s going to be the electric chair for you”, Ruby became calm and ceased perspiring. Archer then asked Ruby if he wanted another cigarette, but his reply was “I don’t smoke”. It was apparent that Ruby’s life depended on the death of Oswald. He later tells the police that his intention was to shoot Oswald three times. But why Ruby had not taken the shot to Oswald at the previous day’s press conference might be explained by the fact that, in the early hours of Sunday, two warnings about Oswald being shot were received by the Dallas County Sheriff’s office, once by the Dallas FBI office at 2:30 AM, and at 3:00 AM by Dallas Police Officer Billy Grammar, who knew Jack Ruby. The final message was “If you move Oswald the way you are planning, we are going to kill him”. 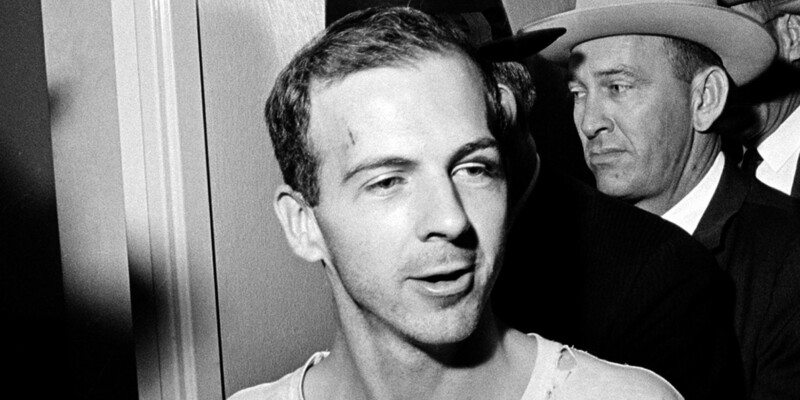 At 11:30 AM, Dallas Police Lieutenant Billy Grammar, was sleeping off his all-night shift when he was suddenly awakened by his wife to tell him that a man named Jack Ruby just shot Lee Harvey Oswald. Then a face appears to match the familiar voice he had heard on the phone warning him that Oswald would be shot, as he had spoken with Ruby just a week before. 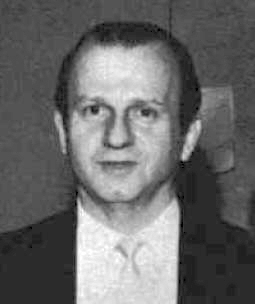 If Jack Ruby was trying desperately to get the police authorities to prevent him from accomplishing what higher authorities were demanding that he do – just as Oswald may have been trying to stop the presidential assassination plot he had been directed into – it seemed that that all the forces of government at every level were conspiring against both of them and making sure that they each performed their designated roles in the Great Conspiracy of the 20th Century. Jack Ruby was convicted of murder with malice on March 14, 1964, and sentenced to death. But a successful appeal, on the basis of being denied a change of venue from Dallas where publicity would prevent an impartial jury, was granted on October 5, 1966, and his conviction and death sentence were overturned. 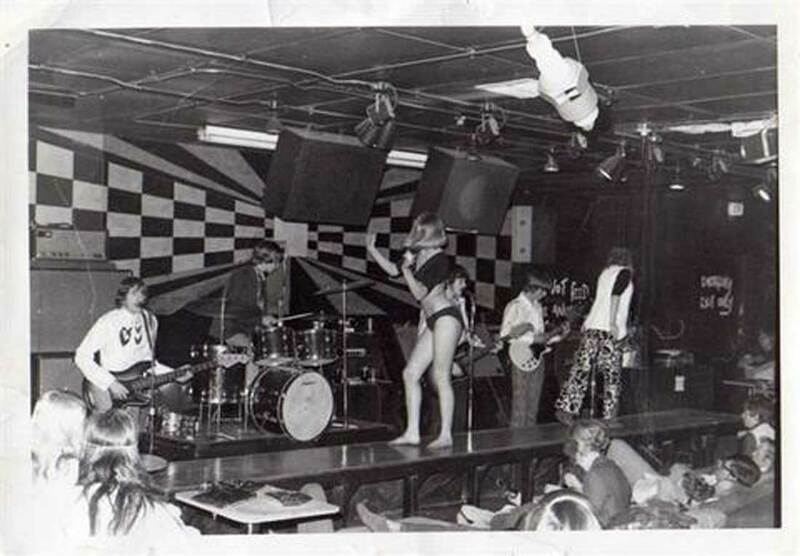 Arrangements were underway for a new trial to be held in February 1967 in Wichita Falls, Texas. On December 9, 1966, Ruby was admitted to Parkland Hospital in Dallas (the same hospital which received Kennedy, Connally and Oswald) for pneumonia. A day later, doctors realized he had cancer in his liver, lungs, and brain. Ruby died of a pulmonary embolism, secondary to bronchogenic carcinoma (lung cancer), on January 3, 1967 at Parkland. During the six months following the Kennedy assassination, Ruby repeatedly asked, orally and in writing, to speak to the members of the Warren Commission. The commission initially showed no interest. Only after Ruby’s sister Eileen wrote letters to the commission (and her letters became public) did the Warren Commission agree to talk to Ruby. In June 1964, Chief Justice Earl Warren, then-Representative Gerald R. Ford of Michigan, and other commission members went to Dallas to see Ruby. Ruby asked Warren several times to take him to Washington D.C., saying “my life is in danger here” and that he wanted an opportunity to make additional statements. He added: “I want to tell the truth, and I can’t tell it here.” Warren told Ruby that he would be unable to comply, because many legal barriers would need to be broken and public interest in the situation would be too heavy. Warren also told Ruby that the commission would have no way of protecting him, since it had no police powers. Ruby said he wanted to convince President Lyndon Johnson that he was not part of any conspiracy to kill Kennedy. But the Warren Commission apparently complied with the gist of Ruby’s request and found no evidence linking Ruby’s killing of Oswald with any broader conspiracy to assassinate Kennedy. Officially, Oswald remained the lone nut and Ruby was exonerated for any complicity beyond his apparently spontaneous decision to murder an assassin. His ties to the Mafia, to the CIA and to Oswald, as well as his extensive involvement in the assassination plot at every point in the story, were buried, along with his body, in the Westlawn Cemetery in Norridge, Illinois. I finally decided to read more into Ruby, so this was pretty concise, thanks.